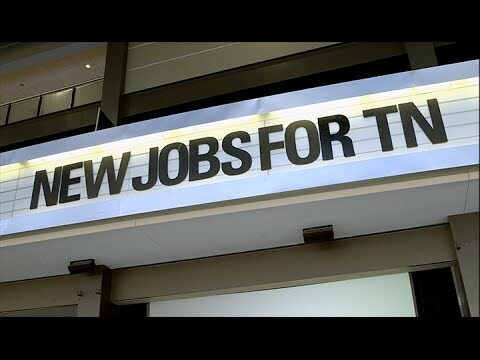 Memphis has seen a significant rise in a variety of employment opportunities over the past few years. In just two examples, the education administration industry has grown by 13.2 percent, while hotel management has risen by an astonishing 18 percent. However, these figures don’t even come close to the rise in demand seen for compensation and benefits managers, as the employment industry itself has risen by a mind-boggling 35.8%. The truth of the matter is Memphis is a prized gem in the employment industry. To land a job in Memphis, TN, though, you’ll need to be on top of your game. Here’s a look at six things to do before your job interview in Memphis. To get a true sense of a company, you can research, read news releases and talk to friends. You may even be able to speak with a few of the company’s existing employees if you know any. The goal is to get a better understanding of what the company represents so you can align your interview answers to the employer’s values and morals. Reviewing the company’s profile on social media and on its own website is an excellent way to prepare for your job interview, but you should also check out company review sites such as Glassdoor, which offers an in-depth look at a company’s values and standards. Individual employee blogs may even be available to provide you with a glimpse at life within the company. By scrolling through the company’s social media presence on sites like Twitter, you can gain insight into the latest news, events and product topics related to your potential employer. Keep these in mind, as they’ll be worth discussing during the job interview. If applicable, you should also try to use one or more of the company’s products before the interview, and be prepared to discuss the products’ features and offer input. Try to find out who will be part of the interview process ahead of time so you can research these individuals. A simple Google or LinkedIn search will likely give you a strong starting point. The more you know about them individually, the better you’ll be asking and responding to questions. You might also consider asking the human resources contact for the company to provide you with an idea of the interview format ahead of time to help you better prepare. Always take the time before an interview to carefully think about the lasting impression you wish to leave. Make a mental list of your skills, accomplishments, creative endeavors and any volunteer work or special training you have participated in. If you are concerned about your nerves getting the best of you, jot down a few notes or bullet points to guide you through the interview. Don’t just THINK about your responses, practice them by getting in front of a mirror. Ask yourself a few anticipated questions out loud and answer them. If you have a friend available, do a mock interview with them and ask for feedback. Plan to keep your attire basic and conservative. Most importantly, make sure whatever you wear is clean and pressed. That said, it’s not just about your clothing choices. Make sure your shoes are clean, your fingernails are manicured, and no loose hems or threads are dangling from your clothes. If you look your best, you’ll feel your best, which will boost your confidence. And confidence is key to pulling off a winning interview. You don’t want to be caught short in the event that your interviewee requests a list of references. With this in mind, be sure to have copies of your references on hand, along with a few extra resumes and a notepad. This both demonstrates your sincere interest in acquiring the position and illustrates that you are prepared and organized. With preparation and a passion for the job you’re applying for, Memphis is sure to exceed all your employment expectations.